Come volunteer with us at our urban farms! Calling all spring gardeners! We thrilled to be on our way to the spring season. We would love for you to come join us in volunteering at either one of our downtown urban farms (Sullivan Street and Mills Mill) on Saturday, March 8th from 8:30am-Noon. We will be prepping many of our beds while seeding some of our spring crops. We will all meet at 8:30am at our Sullivan St Farm on the campus of Long Branch Baptist Church (28 Bolt Street, Greenville, SC 29605). Please bring garden gloves. Sign up below to join! Flip through the coverage of Mill Village Farms and it's director, Dan Weidenbenner on page 73 in Business Blackbox Magazine, 4th Quarter, 2013. This is the most simple fix you can do for your garden. Quickly think about how things grow when people are not involved. What do you see in your mind? Trees, shrubs, vines, and lots of "stuff" on the ground. Nature covers the ground where ever it can. If it can't cover with plants, grasses, or "weeds" it will cover with fallen leaves, bark, and flowers. Covering the soil has many benefits. It keeps in moisture, heat in the winter, cool in the summer, and keeps the soil in place so it won't wash away with each watering or rain. Its very easy to mimic this in your garden. Again thinking about how nature does it, what typically grows in full sunlight? Grasses and trees. A couple things to help you decide what needs what type of light. If the plant has large leaves, like lettuces, plant them in partial shade. If the plant has smaller leaves, like tomatoes, give them more sun. This is because large leafed plants evolved the large surface area to collect as much sun as possible on the forest floor. Whereas small leafed plants evolve to collect sunlight from various angles and directions without being scorched in a prairie or valley. The second way to help you decide is based on what you're growing. If you're growing for fruit or roots, you plant in sunnier areas. This is because fruit and roots take more energy to produce and develop. If the plant is growing for the leaves it should go in partial shade. Now your saying "But what about squash and zucchini?!" Darn good question. When in doubt, experiment. Try one in both places and see how it goes. The worst that's going to happen is you're going to lose a seed. It's okay, there are more. If you're anything like me, you drive the same route day after day. Have you ever taken the time to observe what's growing along the side of the road? On my route there were beautiful lilies in every color during the spring time, but come late August the lilies had been replaced with daisies. As we take another lesson from nature we learn that planting the same thing over and over again in the same spot is counterproductive. Each plant family has different needs. Legumes, beans and peas, leave a lot of nitrogen in soil, which happens to be corn's biggest need. This is really simple to accomplish in your own garden. You just need to keep track of what you plant each season and where. So next season just make sure you plant something different there. For example, tomatoes, lettuce, beans, corn, rest. The last step is essential. Sometime between five and seven seasons, you need to let that specific plot rest. Once you've picked everything off your last crop, just leave it be. Don't pull it up. Throw a cover crop down and walk away. A cover crop is a plant you don't harvest from, it just exists to feed the soil and let it rest. You can use clover, buckwheat, alfalfa, or something of your own choosing. Tiling is the number one most destructive thing you can do to your land. It depletes the soil of the built up nutrients and micro flora and fauna (more on this in a later post). It also leaves the soil completely uncovered, which you already know from the first point to be a very bad thing. Besides that it uncovers all those nasty weed seeds. Seeds that lay too deep to grow, suddenly they're all at the top and super excited to stretch their roots into your beautiful garden. So you want to avoid that? Simple don't till. Continue to add new material to the top of your soil and use a pitch fork randomly to gently lift the soil without turning it over. The point of tilling is to get oxygen into the soil to boost fertility. You can accomplish the same thing by just loosening the soil. We often get trapped by thinking the only things we can grown in back yard gardens is tomatoes, beans, and squash. But there is so much more out there. Try something you've never heard of or something you're not sure you'll like. Part of gardening is just enjoying yourself, so grow something fun. Buttercup squash looks funny and actually makes a really yummy dessert (yes, I know it sounds weird). Cuban oregano is fuzzy and soft. Watermelons actually come in yellow, orange, and white too. Stretch your legs and have some fun. The Greenville News on Sunday, November 8th 2013 featured Mill Village Farms and Good to Go Greenville's work in an article entitled, "Urban farms feed Greenville's food deserts from within". Check out the inspiring article and photography by Anna Lee and Mykal McEldowney. Join us as we host our community volunteer day on Saturday, September 14th from 8:30am-11:30am at our Sullivan Street Farm (map below). This event will be held in conjunction with Clemson University's Masters of Real Estate Development Service-Learning Day. Be sure to bring gloves and wear comfortable clothes for a fun morning in the garden. Sign up below to register for this volunteer opportunity! Last week seven youth involved in our inaugural Youth Entrepreneurship Program with Clemson University traveled to Charleston, SC for the Beach Biz Camp. We began our trip to the Holy City by stopping at our classroom off Meeting Street. We continued our work with Devin Swindall from Clemson University on each of the youth's Business Model Canvas', a business planning tool for entrepreneurs. Check out a brief video outlining the business model canvas method below! Each youth presented their venture proposals and continued brainstorming the next steps and research for their start-ups. 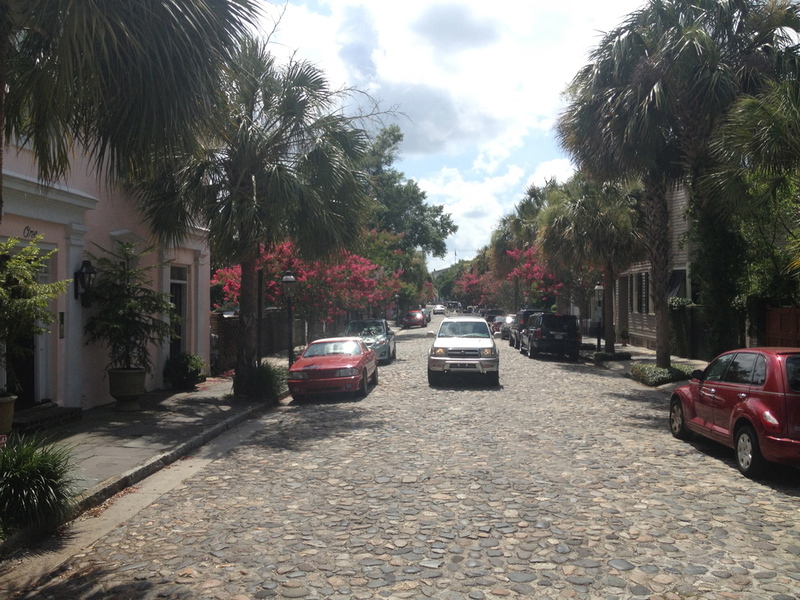 Following, we broke for lunch and explored the downtown Charleston Market where we spoke with shop keepers and entrepreneurs on the experiences they have had with their ventures. We spoke and learned from some talented local crafters, foodies, and artists throughout the market. The afternoon we worked with Andrew Barton with Andrew Barton Design , delving into the impact of branding and logo design. We discussed how brands have immense impact in the success of our ventures and how businesses use them to their advantage. We soon went to work sketching potential venture logos and names. What's a good business trip without having a little fun? 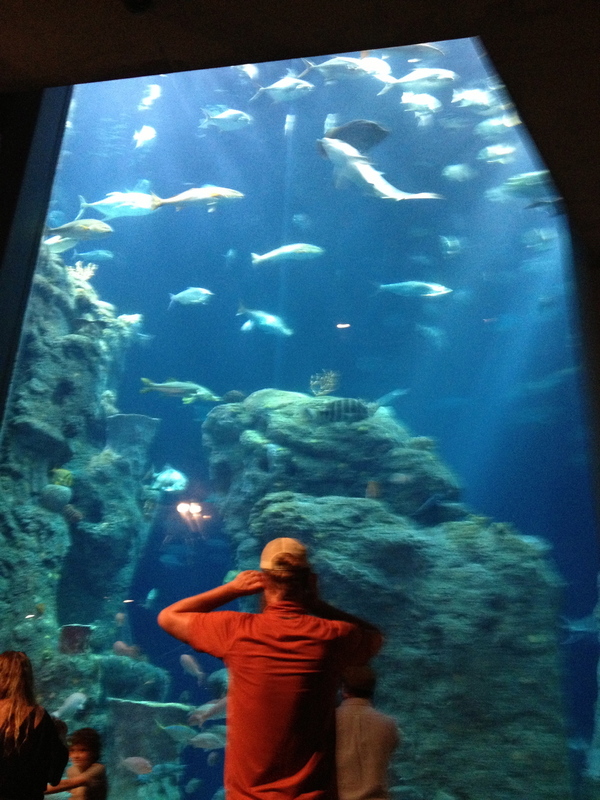 So we spent time exploring the town via carriage ride, toured Green Heart Project, jumped some waves in Isle of Palms, and meandered through the Charleston Aquarium all before heading home. 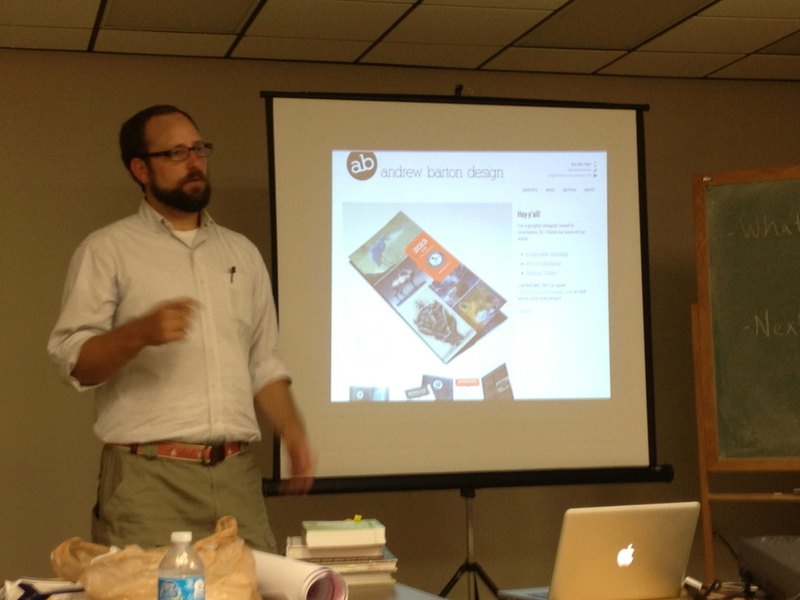 Shannon, MVF Youth Partner, sharing his venture proposal. Andrew Barton posing with the logo creations! Check out the Good to Go Greenville story covered by Greenville Journal on July 3rd, 2013. July 3rd, 2013 - Summer produce is coming into season and the peaches are sweet, the squash savory and the tomatoes tangy. But what if you live in an area where there's little access to farm-fresh produce? Mill Village Farms, an Upstate organization that oversees several small urban farms, has partnered with Loaves and Fishes food bank to launch a new mobile farmers market that will stop in underserved areas. Good to Go is a market that travels to the Greater Sullivan and West Greenville areas to offer everything from blueberries to bread for residents who don't have access to fresh, healthy food. The converted Loaves and Fishes refrigerated truck started service on June 22 and attracted more than 100 people, said Dan Weidenbenner, Mill Village Farms director. Workers pull up to a stop and have the market ready in about 15 minutes, he said. Because local teens, ages 13-18, work at Mill Village Farms and staff the mobile market, many neighbors have been eager to buy from them. "The neighborhood wants to support the local youth," Weidenbenner said. The teens are hired by the farm, work to grow the crops and "learn agriculture and entrepreneurial skills along the way," he said. In addition to produce grown at Mill Village Farms, the market offers some out-of-season produce, like bananas, that is often found in the grocery store, Weidenbenner said. Both neighborhoods requested the mobile market and others are interested, he said. By the next summer season, organizers hope to launch an expanded radius and full-time schedule for Good to Go to include stops on multiple days and more neighborhoods and businesses, he added. Mill Village Farms currently partners with the Sullivan Street Farm on Bolt Street and Mills Mill Farm off Mills Avenue in Greenville, as well as a rural farm, 52-acre Serenity Farm off Saluda Dam Road. With the addition of the larger Serenity Farm, Good to Go will be able to offer fresh eggs later in the season, Weidenbenner said. Good to Go will also be participating in various special events throughout the season, including First Fridays along Pendleton Street with other local food trucks, he said. 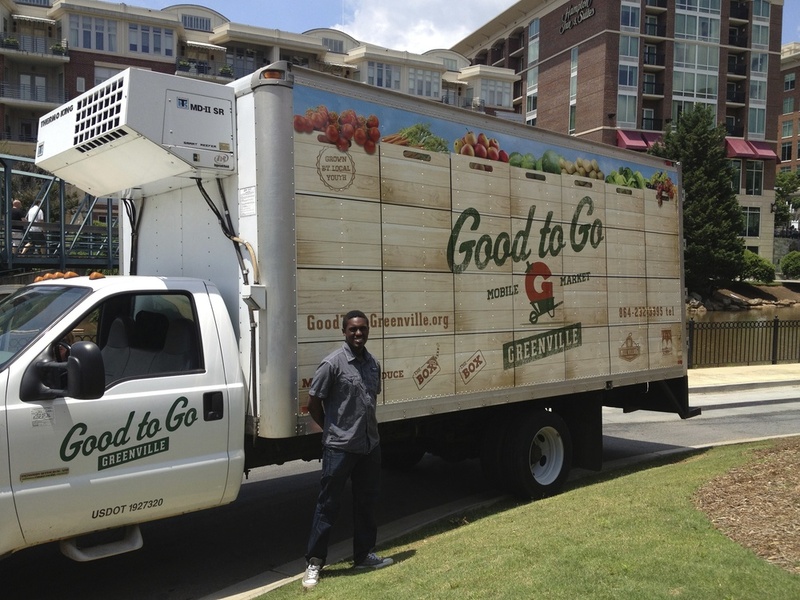 We are thankful for Greenville News coverage of Good to Go Greenville as it launched in the Greater Sullivan and West Greenville communities on June 22nd, 2013! Click here to catch the story! A new partnership between two local nonprofits is making it easier for people to access fresh produce in some of Greenville’s food deserts. With the mobile market, people who don’t have transportation or time to go elsewhere will be able to walk to a neighborhood church or community center to purchase fresh food. “So it makes the healthy choice kind of the easy choice for them,” said Dan Weidenbenner, director of Mill Village Farms. Good to Go has been in the works for many years, but only became a reality six months ago when Weidenbenner and Paulette Dunn, of Loaves and Fishes, formed an official partnership. The idea is to better address the difficulty many people face in getting healthy fresh food. Mill Village Farms formed in 2012 with a mission of reframing the urban farm model. Mill Village has two main goals, to grow fresh organic produce in underserved communities and help the youth in those communities develop their entrepreneurial skills. The organization employs youth interns who volunteer on MVF’s three farms. The youth interns will also help operate the mobile market. Price is often another barrier to accessing fresh produce, Weidenbenner said. So in conceptualizing Good to Go, Loaves and Fishes and Mill Village Farms did an extensive price comparison of goods. They studied prices at the three most popular shopping destinations, Aldi, Wal-Mart and Bi-Lo, to help set the mobile market’s prices. This premier market season will run as a prototype from which to further develop the concept in the future. Right now, Good to Go will run on the first and third Saturdays of the month through the first week of October. The market will park at Long Branch Baptist Church in the Sullivan Street neighborhood from 8:30 – 11:30 a.m. and at Bethel Bible Missionary Church in West Greenville from noon – 3 p.m. The market held its grand opening on Saturday. Produce was provided by Mill Village Farms, and other food and giveaways were offered as well. Good to Go’s offerings will continue to grow throughout the summer and the mobile market hopes to add more vendors in the coming weeks. For more information on the new Good to Go mobile market and the schedule of locations go to www.goodtogogreenville.org. As Tupelo Honey Cafe opens their doors in downtown, Greenville News features their growing interest in the local community! Tucked away in the Sullivan Street neighborhood up on a little hill sits an urban garden that has united a community, and now a big name restaurant as well. The garden, named Sullivan Street Farm, sits beside Long Branch Baptist Church and is one of three that makes up Mill Village Farms, a local non-profit devoted to teaching kids about growing food and having a job. This week, just a few days before Tupelo Honey opens in Greenville, the restaurant is also opening its arms to the community. Tupelo Honey has taken on Mill Village Farms as its major community partner. Mill Village fits all the criteria. Weidenbenner started Mill Village Farms in 2011 with one piece of land near the Mills Mill Lofts. Today, with three farms, the program is growing. Kids from the local neighborhoods work as interns, devoting three to five hours a week to working on the farms. Getting kids involved serves Mill Village’s second mission — helping grow jobs. And Mill Village has recently taken that focus a step further, partnering with Clemson University to develop a program that teaches kids about entrepreneurship and business skills. Tupelo Honey has a long history of philanthropic involvement in the communities that boast the restaurant. In Asheville, Tupelo is heavily involved in the school system, and in Knoxville, Tenn., Tupelo also works with a local community farm, and so it follows suite that the local cafe will cast a wider community net. Mill Village Farms was chosen out of a swath of eight various local agencies that Frabitore and his committee were considering for a partnership, but the local agency stood out immediately, Frabitore says. A large part of Tupelo’s support will focus on fundraising for Mill Village Farms. June 17, one day before Tupelo Greenville opens its doors, the restaurant will host a special fundraising party, and Frabitore is developing a continuous giving plan that would funnel a percentage of sales of a certain menu item to Mill Village Farms. 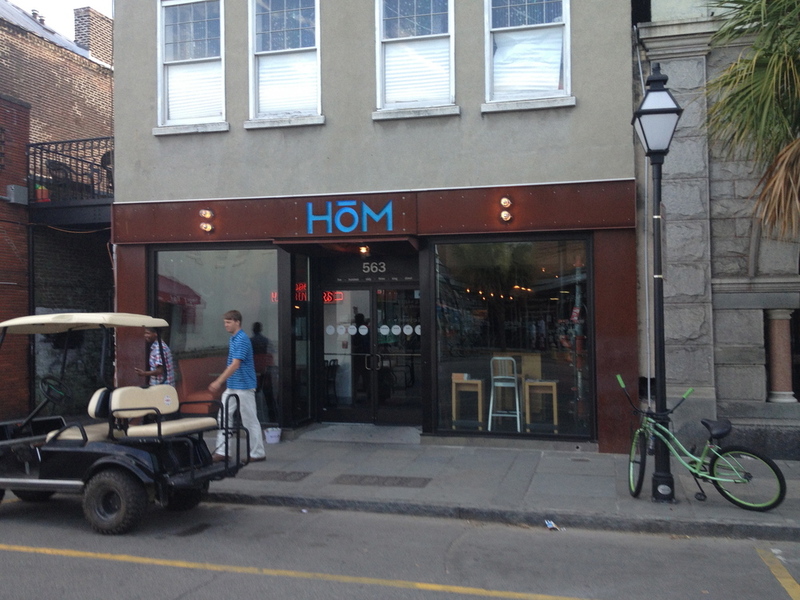 One of those items is the “Busy as a Bee Breakfast.” The Greenville restaurant will serve as a test pilot for the breakfast-on-the-go morning special, which is geared toward the busy business community. The special breakfast will run from 7:30-9:30 a.m. with a menu of items like breakfast sandwiches and Tupelo’s specialty oatmeal. Then you add tea, coffee or juice, pay $5 and you’re on your way. 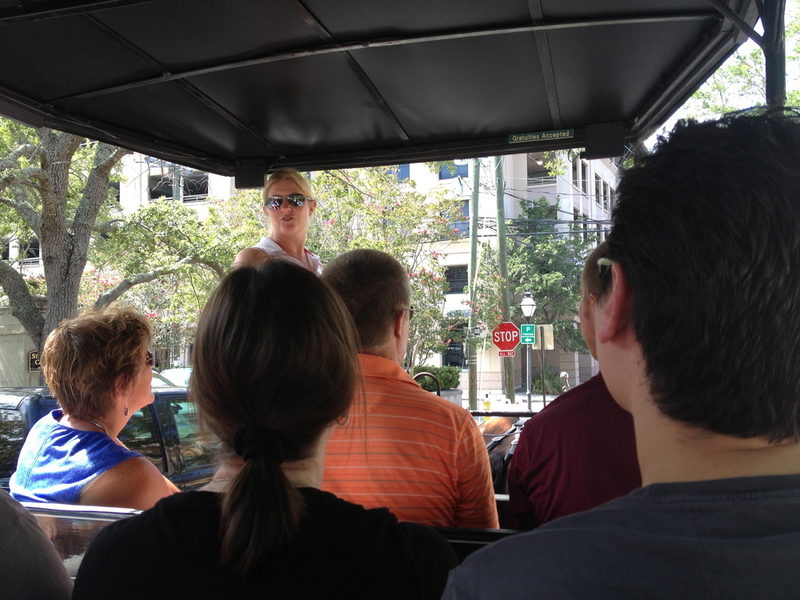 The idea is to appeal to Greenville’s vibrant downtown business community. Tupelo Honey will donate a portion of the proceeds from the Busy as a Bee menu to Mill Village Farms during a certain period of time. They will open at 9 a.m., and you can have your traditional sit down. But if you’re busy you just slap down $5, no change, and get a scratch-made breakfast. But the support goes even further. Already, the local Tupelo Honey has hired three of Mill Village’s youth partners. When the local location opens next week, the young men will be there as well. Check out Fox Carolina's media coverage of Mill Village Farms and their budding relationship with Tupelo Honey Cafe in downtown Greenville! Click here to see story! With Tupelo Honey Cafe opening in less than a week, it's announcing a community partnership with an urban farm organization that's growing in downtown Greenville. In the middle of a former Greenville mill village sits the Sullivan Street Farm, one of three farms started by Mill Village Farms. "This was just a great avenue to be able to work with youth in this community as well as also providing fresh and healthy produce for neighbors," said Dan Weidenbenner, director of MVF. MVF brings in local youth to spend the summer weeding, growing vegetables and learning what it takes to be an entrepreneur. Jimmy Thompson is headed into the 11th grade and is in his second season with MVF. He said working with MVF has changed his outlook on farming and finding work you enjoy. "People think of farms, they think animals and hard work and it really wasn't that hard if you just put your mind to it and your heart to it," said Thompson. "You can get a lot done and you can see right here." MVF's vision is to teach young people while reaching out the community, giving them the chance to reap the benefits of what is grown in their own neighborhood. "They'll learn what it's like to have their first job, job skills, also learn a little about sustainable agriculture and also they'll learn about what it's like to be an entrepreneur," Weidenbenner said. Together the teens know they are creating something that goes beyond fresh fruits and vegetables. "This is a piece of my heart just being out here... and doing agriculture and it's really helped me a lot," Thompson said. MVF's partnership with Tupelo Honey includes the use of some of the farm's fresh produce in the restaurant's dishes and employing some graduates of MVF. In addition to its work with Tupelo Honey, MVF is launching a new truck called Good To Go with the help of Loaves and Fishes, to sell fresh produce at reasonable prices in several local neighborhoods. Good To Go mobile market will launch on Saturday, June 22 at Long Branch Baptist Church in the Sullivan Community from 8:30 a.m. to 11:30 a.m. Missed us on HOG Day this past Saturday? Come join us again this coming Saturday, May 11th at our Sullivan Street Farm from 12:30-3:30 as we finish planting our summer plants and seeds. We are excited to be partnering with the team from the new Certus Bank on Augusta Road for this upcoming volunteer day. Sign up below and we look forward to seeing you there. Don't forget to bring your gloves! Thank you, we will see you Saturday at 12:30pm! Mill Village Farms is excited to announce we will be participating in United Way's HOG Day with the help of Grace Church and Long Branch Baptist Church on May 4th from 8am-Noon. If you haven't heard of HOG Day (also known as Hands on Greenville Day) it is the Upstate's biggest day of service. This year Hands on Greenville expects over 7,000 volunteers to complete more than 250 service projects with an economic impact of more than $610,000 for our community in just one day! We are stoked that we can play a role in this exciting day. We hope to have over 40 volunteers at all three of our farms: Mills Mill Farm, Sullivan Street Farm, and Serenity Farm. We would love to have you join us as we move into our summer growing season. We will be working on all sorts of projects for the whole family, such as planting seedings, building a new fence, laying down fresh mulch, and landscaping around our new greenhouse. Volunteers will receive a HOG Day t-shirt and lunch following at Flour Field. Please complete the form to join us for HOG Day 2013. Look forward to seeing you! Thanks, we look forward to seeing you on May 5th. Please stay tuned for a confirmation e-mail! March has been a great month for Mill VIllage Farms. We have successfully built our first greenhouse at our Sullivan Street Farm with Long Branch Baptist Church. We also started our third and largest garden, Serenity Farm. All because of your generous support! We are excited to take this momentum into April! We will be having our next volunteer day on Saturday, April 13th from 8:30am-Noon at our Mills Mill Farm at 412 Lake Circle Dr. Sign up below! Don't forget your comfortable clothes, gloves, and a shovel. We will cover the rest. Thank you! We will see you on Saturday, April 13th at 8:30am! Mill Village Farms is excited to announce that we will be breaking ground on a new greenhouse at Long Branch Baptist Church, adjacent to our Sullivan Street Farm! We are excited about this new endeavor and how it will help us extend our mission. Here's the twist, we need you, yes you, to help us build our new greenhouse! We are having a Volunteer Work Day on Saturday, March 23rd from 8am-Noon at Long Branch Baptist Church. We will need your help from planting shrubs to construction. Lunch will be provided following a hard mornings work! So come on out and bring your family, let's build a Greenhouse! Please sign up below. Don't forget comfortable clothes, gloves and a shovel, we will take care of the rest! Thank you! We look forward to seeing you bright and early on Saturday, March 23rd! From left to right, Dan Weidenbenner (MVF Director), Deacon Peggy Baxter, Marcellus Stokes (MVF Youth Partner), Pastor Sean Dogan, Morrell Stokes (MVF Youth Partner), and Shannon Johnson (MVF Youth Partner). We are excited to announce this winter, Mill Village Farms and Long Branch Baptist Church was awarded a $1,000 grant from the Greater Greenville Master Gardeners Association. We are especially grateful for how this grant will provide both material and educational support for our community farm in the coming months. The Greater Greenville Master Gardeners has partnered with us to help expand our farm by getting several components to further our mission to Grow Food and Grow Jobs in our community! In addition, the Greater Greenville Master Gardeners will provide educational resources and classes at our community farm for both our youth partners and neighborhood residents. Through Mill Village Farms, inner-city youth are given their first employment opportunity where they learn basic job skills, organic agriculture, and entrepreneurship. Also all the produce we grow stays in our neighborhood where we help to solve food insecurity, but also increase access to healthy foods! We believe this grant will not only inspire our youth, but our neighbors too! Stay posted for updates on how this award will continue to sow seeds for our future in the Greater Sullivan community! Join us in "Growing Food and Growing Jobs," with a donation of $5 you can help provide us with much needed seeds! Also consider volunteering by contacting us! Jimmy Thompson, Age 16, Marketing Partner, "MVF has been building and growing me in my own way." 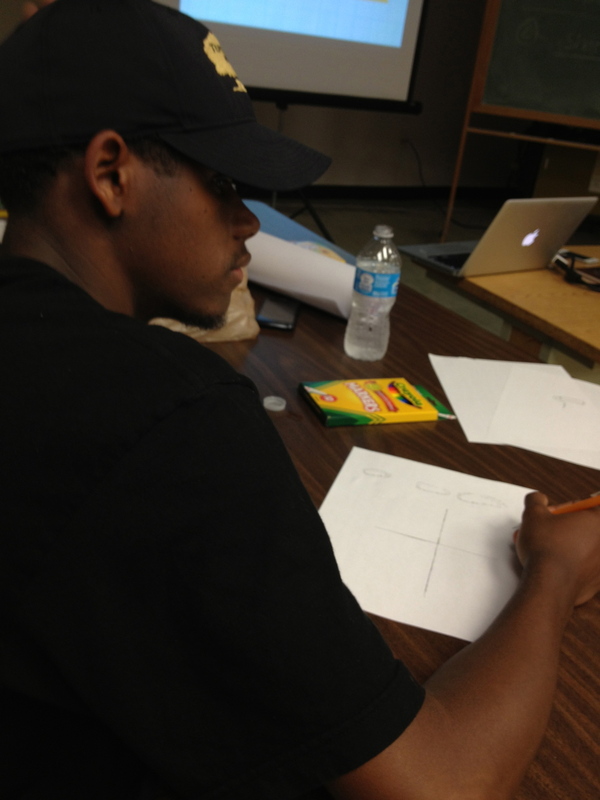 Marcellus Stokes, Age 19, Education and Event Partner, "MVF has been a valuable and enjoyable experience." 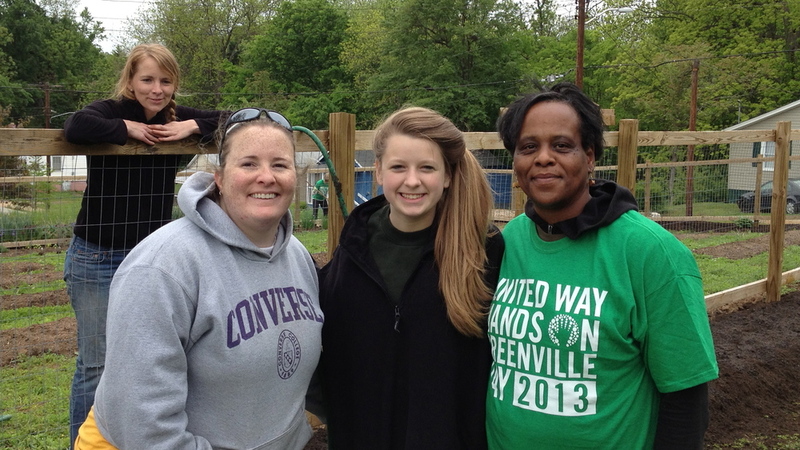 Shannon Johnson, Age 13, Accounting and Inventory Partner, "MVF has been working good and enjoying working in garden." Morrell Stokes, Age 19, Farm Operations Partner, "MVF has been making progress for the Kingdom of God." This past Saturday, Mill Village Farm's Sullivan Street Garden had it's first community farm stand. The youth partners helped organize and run the entire event, from planning to harvesting to packaging. Morrell Stokes, our Farm Operations Partner, harvested and packaged the produce the day before. While Marcellus Stokes our Education and Events Partner, helped to set up the booth. Jimmy Thompson our Marketing Partner, spread the word about the event. Shannon Johnson our Business and Accounting Partner, managed our sales throughout the morning by weighing produce and accounting for product sales. It was the first time for the four youth to see all their hard work reap a harvest and make a profit. Our farm stand reminds me of a parable we spoke of during our work in the garden. The parable goes like this... A master had eight bags of gold to distribute to his servants, five bags to one servant, two to another, and one to the last. The servant with five bags took his money to work and gained five more. Likewise, the servant with two bags took his bags and put it to work and brought back two more. However, the last servant took his one bag and buried it underground for safety. The master finally came back and saw what each of his servants have done with his gold. With the first two, he was pleased and said, "Well done, good and faithful servant. You have been faithful over a little; I will set you over much. Enter into the joy of your master." However, with the last servant he was less than pleased and responded with disappointment and anger. This practical parable told by Jesus was not just for spiritual nourishment, but for everyday practical living. He has given us each unique talents. Some to market produce, some to keep track of money, and some to manage our garden. Most importantly, we have all been called not to waste the gifts we have been given, but to use them to reap a harvest. We were able to see just that on Saturday. Investing our talents and making a profit. In fact, we sold out everything in just a few hours and made over $200. All the while we provided seasonal, locally-sourced, and organically-managed produce in a community that doesn't have easy access to these products. We look forward to the coming months, working and investing our God-given talents. We would love for you to join us by keeping up with Mill Village Farms and investing in our non-profit community farm by donating online and following us on Facebook. "Mill Village Farms wants to grow food and jobs"
Mill Village Farms doesn't just want to grow food - it wants to grow jobs for youth in some of Greenville's struggling neighborhoods, too. Mill Village Farms, a new nonprofit organization in Greenville, wants to transform some abandoned vacant properties in some of the city's low-income neighborhoods into small, sustainable farms that give youth in those communities their first taste of private enterprise. "It will impact the community positively in two ways," said Dan Weidenbenner, director of Mill Village Farms. "It gives youths in the community their first jobs where they'll learn business and entrepreneurial skills and it increases access to fresh, local produce in low-income food-desert communities." The groups first farm is in the Sullivan community. 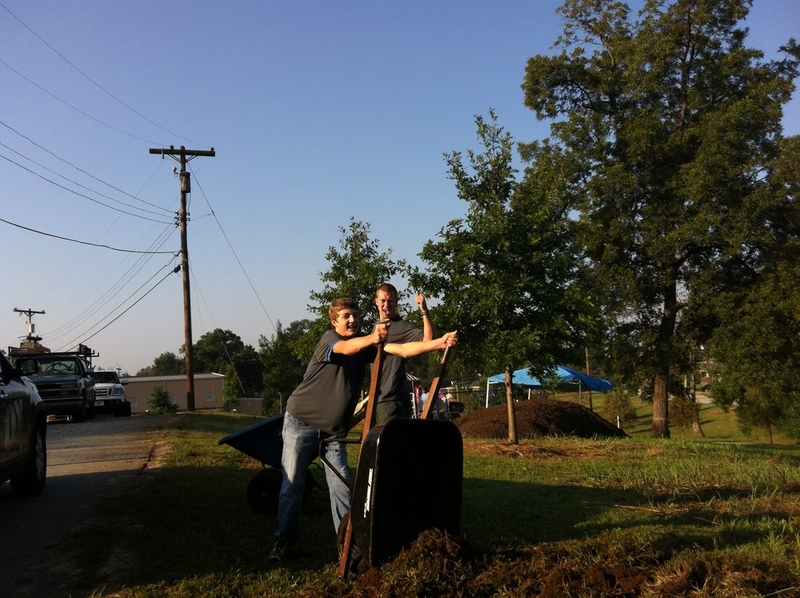 Volunteers recently built raised beds on property owned by Long Branch Baptist Church on the corner of Sullivan and Bolt streets in the Greater Sullivan neighborhood. 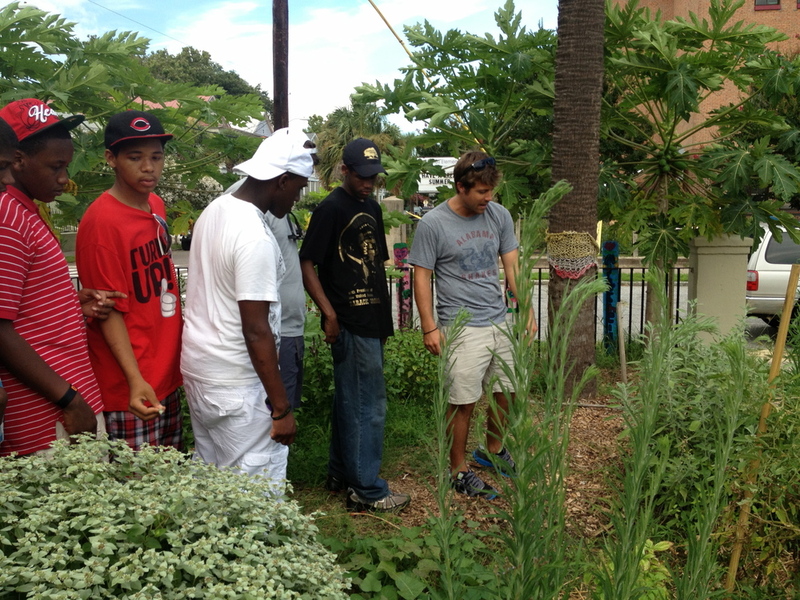 Youth interns ages 13 to 21 will market and sell the products they grow to help sustain Mill Village Farms. They could market a value-added product such as sauce or salsa made from produce they raise, Weidenbenner said. The youth are paid wages. Mill Village Farms is also partnering with Grace Church in the project. "When you're trying to develop a community, you've got to have a grass-roots effort," said Weidenbenner, who lives in the Greater Sullivan community. Long Branch Baptist Church has a neighborhood farmer's market and a food pantry in the area. Weidenbenner said Mill Village Farms is modeled after the Village Gardens Food Works Program in Portland. He said late fall and spring plantings will be done, but the heaviest plantings will take place in the summer when the youth are out of school. Mill Village Farms started this past summer when four interns aged 12 to 15 worked at a farm in the Mills Mill area and at Furman University. 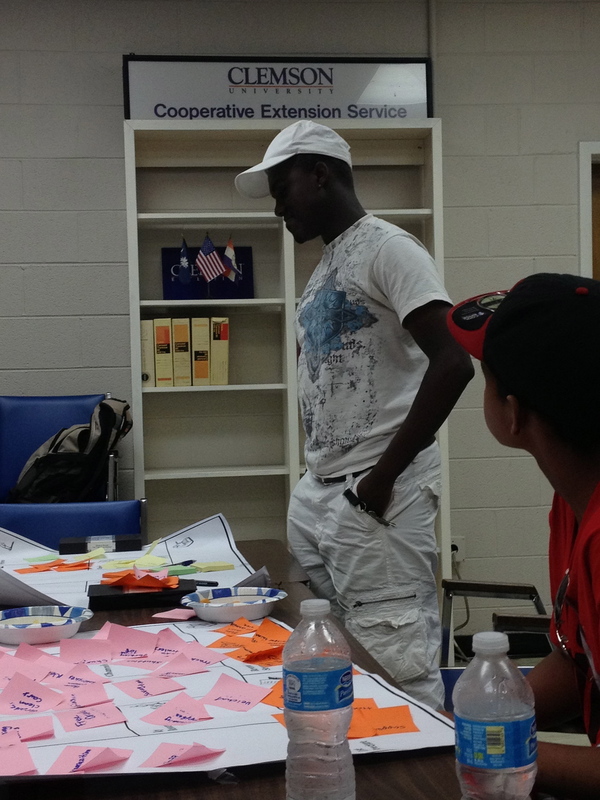 During the summer, the youth learned job skills as well as the basics of organic farming. Weidenbenner said Mill Village Farms could be duplicated in other Greenville neighborhoods with the right partnerships. However, "it's got to be grassroots," he said. "It has to have a partnership with someone in the community who is already working in that community." For information on Mill Village Farms, go to MilVillageFarms.org or contact Weidenbenner at dan.weidenbenner@gmail.com. First, we want to say thank you, thank you, thank you to the many supporters and volunteers (all 60 of you!) that came out to support a new community farm model in the Greater Sullivan community. The event was in conjunction with Long Branch Baptist Church's Men's Day Celebration, appropriately named "Sowing Seeds for our Future." In just one day volunteers from Long Branch Baptist Church, Greater Sullivan, and Grace Church built a beautiful new garden complete with fence, arbor, in ground beds, and new soil! See some pictures of the event that wasn't to be complete without a community cook-out. "Downtown Greenville neighborhood gets community farm"
Click link above to see Fox Carolina's article and slide show featuring Mill Village Farms, September 22nd build day at Long Branch Baptist Church.